ideaken blog - collaborate to innovate: Why talk about Implicit Crowdsourcing? Why talk about Implicit Crowdsourcing? Basically to showcase that seemingly unsuspected things have Crowdsourcing involved, and if you can develop an eye for it then you might be able to come up with better usage of Crowdsourcing for your business. The Crowdsourcing based business or a project is comparatively easy to detect, but it is amazing that there exist many trivial but interesting examples all around us which has Crowdsourcing embedded. The influence might vary for each case; however they might open your minds to rather interesting possibilities. The language learners also help to translate digital text for businesses for other clients. For example – if say 50 people guess that the word “pelota” in Spanish means “ball” in English then Duolingo assumes that it is correct. 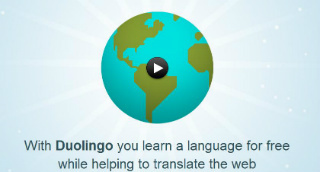 Duolingo has more than 250,000 active language learners – so you can guess the “intelligence” it has acquired through Crowdsourcing. A leading news daily posted an article online on their website with a title “Vivekananda balls to boost Modi campaign “. I glanced over it and said to myself, they need better editors and I moved on. It could have been some journalist’s way to sensationalize the article or just a genuine oversight. When the article went in press for a print edition the next day, the news title did not have the obvious issue and was changed to “Vivekananda volleyballs to spike up Modi campaign”. I checked back the online version and it was changed there as well. Within hours of publishing the article online, unlike me, many readers objected and commented on the online article. The news daily took a note of it. The news business is typically one way traffic, and reader’s feedback is usually on general public or parties covered in the article. Here you see a business case for media to formalise incorporation of such feedback before they reaches wider audience. There was this interesting page doing rounds in a South American city. Simply compare randomly selected two faces and tell if they match or not, and get paid for it. This case is an attempt to locate the offenders in the mob video captured by an amateur. Authorities asked several citizens to assert if the individual pictures match with randomly selected images of their citizens, but they did it without telling the background story. Such Implicit Crowdsourcing with undisclosed agenda, however has to face moral questions (and for the right reason) if it is right to get work done w/o revealing the end purpose. In another similar example, authorities at UK uploaded 2000+ images of rioters from London in 2011 and asked people to identify them. 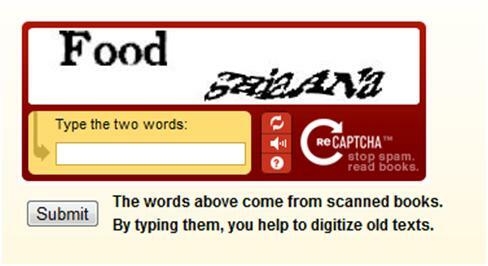 You are surfing the web and at one of the sites, you entered a captcha validation (where you need to see the picture and key in the letters to prove you are human and not a machine). And you went on with your surfing life. Well, you just made a valuable contribution to digitizing an old precious book. 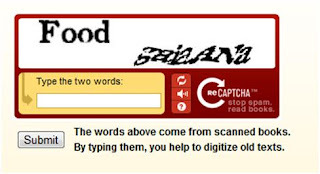 One of the two words in the captcha image was scanned from the heritage book that they want digitized. And in case you are wondering how the website knows if the words you typed is correct or not, and if they already know then why they need digitise again. The trick is they always use a set of two words, one of them is known to them, and that is the only one used for validation. The second word you typed in is your contribution to digitise a book. 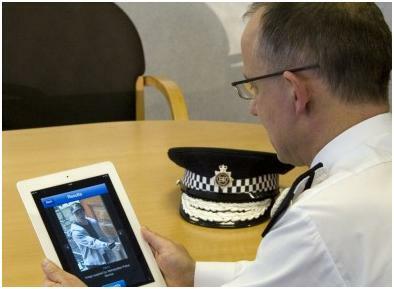 You can see how a entire book can get digitised one word at a time. This list can go on and we will share more examples like these in the coming months. And you too can send us instances you spotted. These examples might trigger ideas on how you can utilize Crowdsourcing for your own business. ideaken can help you Crowdsourcing challenge based problems or a scenario where wisdom of crowds can make a difference for your business. 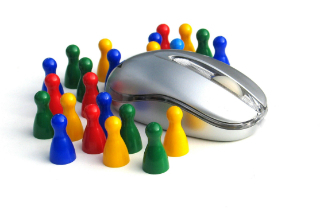 There is whole concept of gamification that can be used as an effective tool to involve employees or public at large. @Munish - Very true. Gamification is quite hot. As soon as you talk about implicit crowdsourcing, it becomes explicit! Good ideas, though. It's an remarkable paragraph designed for all the online users; they will get advantage from it I am sure.